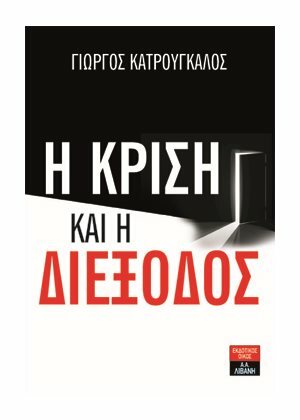 Το άρθρο σε pdf εδώ. A number of empirical surveys, such as Freedom House’s “Freedom in the World” or the annual “Democracy Index Report” by the Economist indicate a relative decline of democracy worldwide and in the West, attributed generally to the emergence of “illiberal democracies”, in other words the rise of autocrats in states where elections are held, but rule of law is weakened. This phenomenon is usually associated with populism, an even vaguer term with disputable heuristic value. -According to New York Times the two most prominent populist leaders of our times are considered to be President Trump and Pope Francis!. I find this line of analysis fairly superficial. 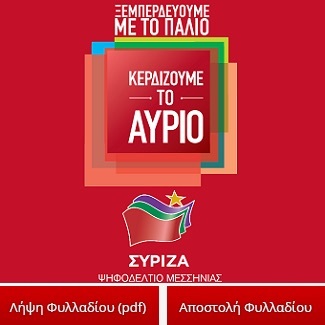 I argue, on the contrary, that the weakening of our democracies can clearly be associated with the dominance of neoliberal policies and more specifically a) the breach of the social contract associated with the welfare state and b) the delegation of important political decisions to politically unaccountable decision makers. By the confluence of these two trends emerges a regime where human rights, especially economic and property rights, are fully protected but the will of the majority has little, if any, influence to substantive decisions related to the overall direction of economic policies and the relations of state and the market. I consider this «undemocratic liberalism» as a catalyst for the generation of its inversed idol, the «illiberal democracy». The archetype of this type of polity is Enlightened despotism, Prussia of Frederick the Great. There may be judges in Berlin, but the miller of Sans Souci is politically unrepresented there. It is true that under a Schumpeterian, elitist concept of democracy, undemocratic liberalism is impossible, at least after the historic moment when the electoral right is generalized to the whole population. Contrary to the republican ideal of civic participation, Hannah Arendt’s “Vita Activa”, as the only way for a meaningful democracy, in the elitist theories citizens’ involvement occurs exclusively via their elected representatives. Electors are not supposed to control the latter in any way except by refusing to reelect them. This is by definition guaranteed in countries having periodical elections. And actually, in periods of relative prosperity, the normal pattern of behavior is that electorates do not consider they should back-seat drive their representatives. The formal legitimacy of the electoral procedure is producing also substantive legitimacy. However, this is true only when there is undisputed trust to the institutions, in the sense of a widespread and not contested confidence to the fairness of the political process as a whole and, more specifically, to the institutions of political representation. This is not any more the case neither in Europe (graph 1) nor in the majority of western democracies (graph 2). Interestingly, despite the common wisdom that EU institutions are facing an existential crisis, actually distrust towards national governments and parliaments is more acute (graph 1). The more interesting finding in graph 2, besides the obvious dissatisfaction of the majority of population in almost all mature western Democracies, is that the biggest concern of the citizens is about social problems related to poverty and inequality, as well as to the decline of welfare state in healthcare or unemployment. (Corruption, crime and violence dominate the answers of the rest of the countries). The slow process of erosion of the welfare state of the last decades, precipitated by the recent economic crisis, has dramatically uprooted confidence and produced a huge gap of trust towards the political institutions, both national and transnational. In Europe it has been the result of confluence of two parallel trends: the general deregulating impact of globalization and the gradual erosion of the European social model by the dominant in EU neoliberal policies of the last decades. The limits on the state’s regulatory capacity and the removal of barriers to market access are part of the broader process of globalization, as a driving force of both denationalization and extraterritoriality. There is an evolving “disaggregation” of the state through the transfer of public functions both “upwards” to international or transnational entities (EU, WTO) and “downwards,” through the de-centering of the decision-making either to lower state levels (devolution) or by new blends of publicand private power at all levels of government. For Europe this trend constitutes a shift of institutional paradigm, a mutation of the European social model, stemmed from the historical compromise of the golden post-WWII decades. In this model, the State, instead of regulating the market only on the basis of norms that derive from the private law of contract, property and tort, uses, in addition “political power to supersede, supplement or modify operations of the economic system in order to achieve results, which the economic system would not achieve on its own (…) guided by other values than those determined by open market forces”. In this framework, the relationship between social rights and democratic citizenship has been a dialectic one. On the one hand, social citizenship triggered, through an evolutionary process, the development of modern states. The social dimension was pivotal in state formation and identity, as a direct source of legitimacy. On the other hand, distributive justice has been legitimised on the basis of solidarity that comes from the membership of the political community. Even before the crisis, the jurisprudence of the European Court of Justice has often exerted a deregulatory impact to the European social model. EU rights were tailored according to the functional requirements of the internal market and the judicial review resulted to an economic constitution, with only two Grundnorms: free movement and competition rules. Consequently, any national interference with market freedoms, even if it derives from constitutional provisions, reflecting “a deeply held national societal more or value”, or even if it concerns matters that do not fall directly within the scope of application of EU law, is deemed to be contrary to free competition and prohibited. This jurisprudence had a grave impact on the Keynesian potential of the European welfare states. In parallel, at national level, similar policies of deregulation have become the new norm, such as Germany’s national strategy of the Agenda 2010 to cut domestic wages in order to increase competitiveness, a policy of ‘beggar thyself and thy neighbour’. And, as coup de grace, the effect of these neoliberal policies has been magnified by the crisis. The institutional response to the latter was the intensification of austerity policies aiming to reduce deficits, regardless of the social cost. The EU Fiscal Compact imposed an arbitrary fiscal straitjacket of procyclical policies that pushed the weaker economies to a vicious downward circle, exacerbating inherent the structural imbalances of the Eurozone. But how these overlapping economic and societal crises have been morphed to a democracy crisis? Rising economic inequality, accentuated by the financial crisis, has been the major catalyst to political destabilization. At the center of this evolution is not, as often posited, just the cleavage between winners and losers of globalization, “somewheres” and “anywheres”. It is neither a cultural problem, related to the emergence of rigid cultural identities, between cosmopolitan citizens and backwaters. The widespread social malaise is caused by more tangible causes: the fall of living standards and the rise of inequalities. It is true that regional inequality within rich countries has increased, reflecting trends of globalization favoring the open, “global” cities. According to OECD, the average productivity gap between the most productive 10% of regions and the bottom 75% widened by nearly 60% over the past 20 years. But this is a secondary aspect of the much wider upsurge of inequalities. At global level, estimates suggest that almost half of the world’s wealth is now owned by just 1% of the population, amounting to $110 trillion—65 times the total wealth of the bottom half of the world’s population. Strikingly, the bottom 70% accounts for just 2,7 percent of global wealth . Even in the more affluent OECD countries, as seen in graph 3, the 60% of the population has considerably less wealth than the richer 10%, whereas. In addition, the top 10% now has an income close to nine times that of the bottom 10%. Even more spectacular is the widening gap between the super rich and the rest of the society: Between 1980 and 2015 the average real income of the 0,01% of the population has grown by 322%, whereas the income of the lowest 90% has stagnated, rising only by 0,003%. This results to a general pauperization of the whole society but also to the squeeze of the middle class, through the shrinkage of the income share accruing to the middle 20%. In the European South the situation is even worse: 97% of the households in Greece and Italy had stable or falling income between 2005 and 2014, compared with just 20% in Sweden, where the welfare state has not been so gravely degraded. Labour market deregulation and accentuated flexibility, in tandem with a decline in trade union rate and worsening of prevalent collective bargaining legislation has reduced the bargaining power of middle and lower-income workers, leading to lower minimum wages relative to the median wage. According to a recent IMF work report, a decline in trade union membership (union rate) and the resulting easing of labour markets measured by an increase in labour market flexibilities index by 81⁄2 %—from the median to 60th percentile—is associated with rising market inequality by 1.1 % . Moreover, the rapidly increasing gap between rise of productivity and wages, has a cumulative effect on workers’ share of national income, which has fallen dramatically after 2000. A huge decline of the progressivity of taxation has undermined the funding of the welfare state and widened the inequalities, through cuts of social transfers such as welfare assistance or public retirement benefits. According to OECD, top marginal tax rates, which have been above 80% in 1960, have fallen from 59% in 1980 to 30% in 2009. The average rate of Corporation Tax has been cut from a nominal 34% in 1995 to 22% in 2017 . The deterioration of provision of public goods that boosted productivity and growth in the past is also associated with the massive privatization of important social services. Societal inequalities can be tolerated in a capitalist system, even considered as the “natural” outcome of the invisible hand of the market. It is quite different if people believe that they are unfair, as a direct product of a political decision, such as the cancellation of the social contract inherent to the welfare state. It is highly indicative that the declaration that “economy is rigged” does not come only by outspoken critics of neoliberalism like Jeremy Corbyn, but also by prominent Tory ministers, such as Michael Gove. Graph 5 Respondents agreeing that “the government is run by a few big entities in their own best interests” Source: OECD Public Governance Reviews, Paris, 2016, p. 18, based on Transparency International , Global Corruption Barometer 2013, OECD Integrity Framework for Public Investment. Graphs 4 and 5 show that the feeling that the economy is “is rigged to advantage the rich and the powerful” is a widely embraced impression by the majority of the population in all countries, with the exception of the Nordic ones. It is combined by the alienation of the electorate from the established political parties (Graph 6). These findings provide evidence that populism is rather a symptom than the cause of the declining trust to institutions of political representation. Another clear indication for this assumption is that these opinions are shared not only by those who support populist politicians, but by a clear majority of the whole electorate. For instance, the exit polls after the recent American Presidential election included the following question: “Is government doing enough for the working class”? tThis question has been answered negatively by 67% of Trump voters, but, astonishingly, also y the 66% of Clinton voters. Finally, as it was to be expected, the democracy per se is affected by the ramping crisis of confidence. As shown in Graph 7, for the majority of the Americans born after the 1960s and the Europeans born after the 1970s, it is not deemed anymore “essential” to live in a Democracy. Graph 7 Respondents agreeing that “It is «essential» living in a Democracy?” Source: Responses by Birth Cohorts 1930-1980. Source: World Values Surveys, Waves 5 and 6 (2005–14). Data pooled from EU member states. Valid responses: United States, 3,398; European Union, 25,789, Yascha Mounk and Roberto Stefan Foa, “The Signs of Democratic Deconsolidation,” Journal of Democracy, vol. 27, nr. 3, 2016 p. 5-17. Even moderate politicians, like the former Prime Minister of Australia K. Rudd are considering this situation as an existential threat for the future of democratic regimes: “Citizens will continue to support their democratic capitalist systems so long as there is reasonable equality of opportunity and a humane social safety net. Take these away and the citizenry no longer has a material stake in mainstream democratic politics”. *Professor of Public Law, Democritus University, Greece. Alt. Minister of Foreign Affairs of Greece. A. Ivereigh, ‘Is the Pope the Anti-Trump?’ NY Times (4 March 2017) https://www.nytimes.com/2017/03/04/opinion/sunday/is-the-pope-the-anti-trump.html, claiming that “the president and the pope, are the world’s most famous populists.” Cf. Jim YardleyFrancis and Trump: Populist Leaders Preaching Divergent Messages, NY Times, Feb. 19, 2016, https://www.nytimes.com/2016/02/20/world/europe/pope-francis-donald-trump.html. P. Pierson, “Investigating the Welfare State at Century’s End”, in P.Pierson (eds) The New Politics of the Welfare State, (2001) 1–14, who writes that welfare states are not merely “protective reactions” against the market but, instead, an integral part of modern capitalism. In D. Goodeheart’s bestseller, The Road to Somewhere: The Populist Revolt and the Future of Politics, (London: Oxford University Press 2017) “anywheres” are the winners of globalizations, educated, middle class professionals who feel at ease everywhere, whereas “somewheres” are those attached to their communities, basically because of lack of skills, ambition or professional abilities. Inequality’ (2014), 178 Oxfam Briefing Paper.